At first glance, it's simply a show of Tudor and Stuart fashion. To many (like my husband, who stationed himself in the gallery cafe) it seems painfully boring. But it changed how I look at art forever. Firstly, the exhibit guide was on a smart phone: a much more intimate and intuitive experience than a leaflet or a clumsy audio guide. And my virtual guides through the exhibition weren't monotone art historians. They were DJs, contemporary designers, young curators and TED speakers. But what really rocked my world was the music selected by DJ and musician Eddy Temple-Morris to accompany selected pieces on view. Take the two portraits of Frances Stuart, Duchess of Richmond, below: in feminine silks (left), and drag (right)! Apparently Ms. Stuart was quite the celebrity in her time, loved by all and known for her charisma and beauty. She was famous for refusing to become a mistress of Charles the II and, quelle horreur, marrying for love. Today you can see her on old British coins—she was the model for Britannia! Now look at those two paintings and listen to this remixed song by Lana Del Ray at the same time. It won't exactly replicate the experience of standing inches away from the paintings in person, looking from one to the other as Lana croons. But, I promise you, paired with music these paintings come alive. You almost expect Stuart to begin blinking and breathing in front of you. Her knowing or haughty or confident expressions take on entirely new meaning to the beats of a 21st century songstress. And right then and there I decided there is nothing quite like music and art expertly paired together. As an art history student I used to lament that art was for everyone, so why didn't everyone want to see art? How could it be made more accessible? How could it have meaning for you if you didn't have an art history degree? I think music could be an answer. When I arrived in London later that week I went straight to the National Gallery and took their Sounds of the Gallery tour. Alas, it was too high brow for my taste. Come on, curators! Let's get more DJ's in museums. 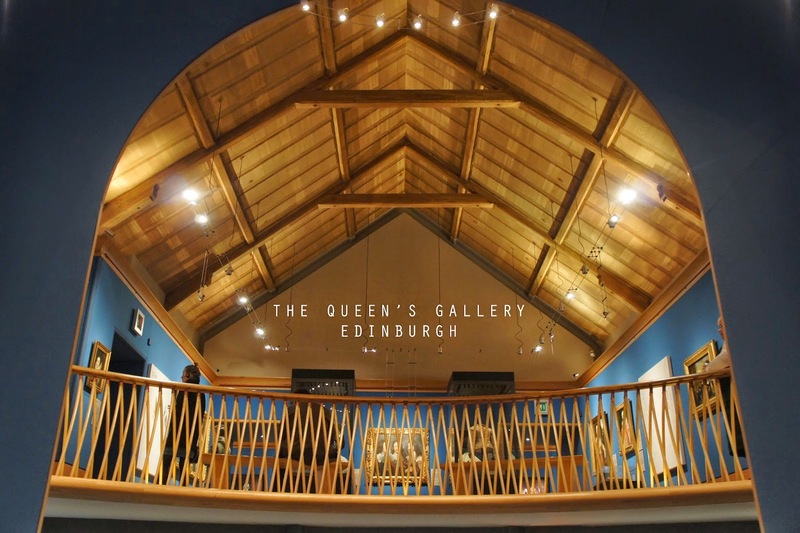 Major applause to the Royal Trust Collection for this exhibition, which is on view at The Queen's Gallery in Edinburgh through to July 20, 2014, and was previously on view at Buckingham Palace in 2013. Adding this to my list of "things to do in my 48-hours in Edinburgh." So looking forward to it! Thanks for such a thorough suggestion. Art & music - one would think more galleries would have caught on to this.